The Mississauga Steelheads fell 4-1 to the Sudbury Wolves in Game Four of their Opening Round Series. 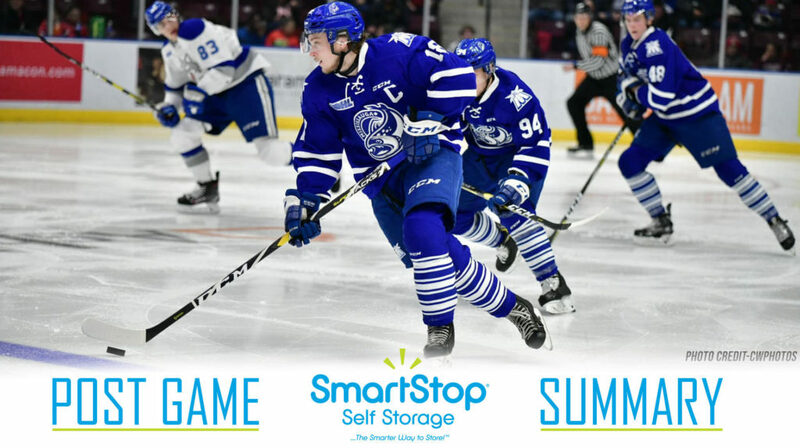 The Steelheads could only manage one, Nick Isaacson goal in a frustrating Wednesday night game at the Paramount Fine Foods Centre. 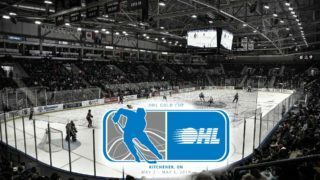 The Mississauga Steelheads started period one in exactly the fashion you would expect from a team sitting on the brink of elimination. The Trout carried much of the early play and were rewarded a power play just over two minutes into the game for their hard work. 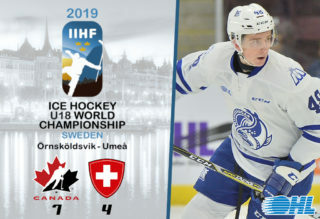 The man advantage came thanks to a Quinton Byfield holding penalty, the best chance of the two minutes fell to Nick McHugh, a cross-ice feed to the back post, that had Ukko-Pekka Luukkonen down and out just snuck through the winger’s legs. The Trout’s momentum would dissipate after the opening part of the period. Blake Murray would open the scoring for the Wolves a nice feed from Quinton Byfield led to the regular season 30-goal scorer tallying his third of the postseason. The Wolves would double their lead with 3 minutes and 40 seconds left in the frame. This time it was Macauley Carson finding the back of the net on the power play. The teams would head to their dressing rooms with the Wolves up two. 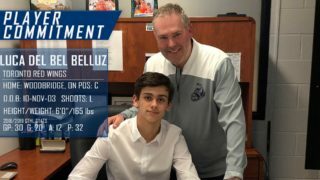 The Steelheads would have to kill off two-minute penalty to open the second after some fisticuffs at the buzzer of the first saw Alan Lyszczarczyk pick up the extra minor. The penalty killers would hold strong for two minutes keeping the Steelheads within two. Seven minutes into the period however, the Wolves would find their third goal of the game. This time it was Drake Pilon who drove to the slot and beat Jacob Ingham on his glove side. The Steelheads would fight back after that, their first goal of the game coming through Nick Isaacson who jumped on a rebound in the slot and beat Ukko-Pekka Luukkonen to his far side. 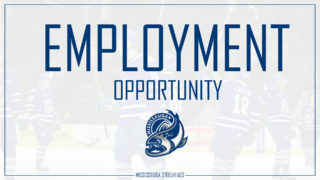 The goal brought the crowd to life, one Steelheads supporter getting so excited they threw a fish on the ice. Seizing on that momentum swing the Steelheads would go on to outshoot the Wolves 10-7 in the second frame. The Steelheads would push to make it a one-goal game in the opening stage of the final period. The Steelheads peppered Luukkonen with shots much like they had all series. Chances fell to Richard Whittaker, Duncan Penman and Cole Carter. One of the Trout’s best opportunities came on a 2-on-1, Nicholas Canade was on the end of a pass but his Luukkonen slid across to his right-hand side and denied the forward with his blocker. The Steelheads chances at a comeback were made much harder when Liam Ham was called for a Tripping penalty with 4:50 remaining in the third period. The Trout successfully killed off the penalty and were able to pull Ingham for an extra attacker with just under two minutes left. The Wolves would ice the game, with 1:01 left Peter Stratis launched a clearance the length of the ice and into the Steelheads vacant cage. Capping off a 4-1 win in Game Four and a 4-0 series win for the Wolves. Ukko-Pekka Luukkonen again played a stellar game capping off an outstanding series stopping 32 of 33 shots and 139 of 147 in the series. 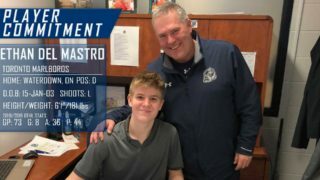 Some notes from the game; Nick Isaacson and Callan Christner recorded their lone points of the 2019 playoffs on the Steelheads lone goal. Christner’s assist was the first playoff point of his OHL career. 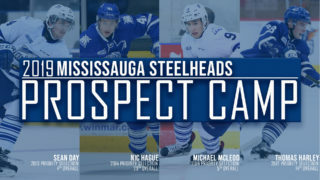 The Steelheads season comes to a close with the loss, but stay tuned for wall-to-wall coverage of the Trout’s 2019 OHL Priority Selection on April 6th.